It's not safe to start the car. I just checked the oil and it's not showing on the dip stick. 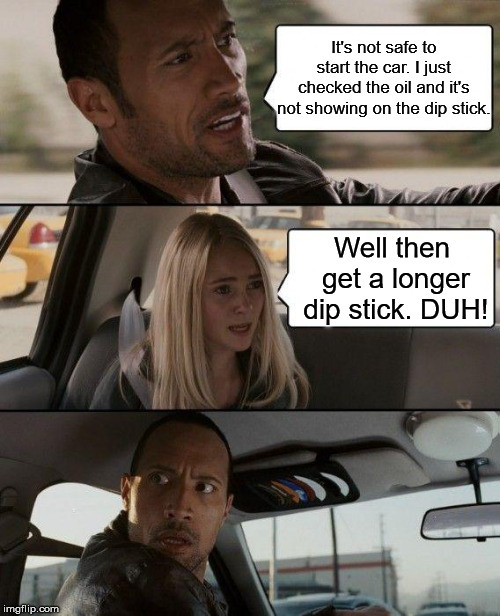 Well then get a longer dip stick. DUH!